Shooters really are not my thing. Well since the Contra Series. The biggest reason why I don’t enjoy the genre is because of simple lack of skill. I’m not someone that likes to do things outside my comfort zone when I constantly fail. Yeah I’m a bit of a coward and only like to do things that I show a natural ability at. Years of playing Sports, RPG’s, Platforms, Fighting, and side scrolling shooters have allowed me to enhance the natural skills I have for these kind of games. That all being said when being lucky enough to have an opportunity to review Spec Ops: The Line, recently released for the Mac on Steam, I was a bit intimidated. 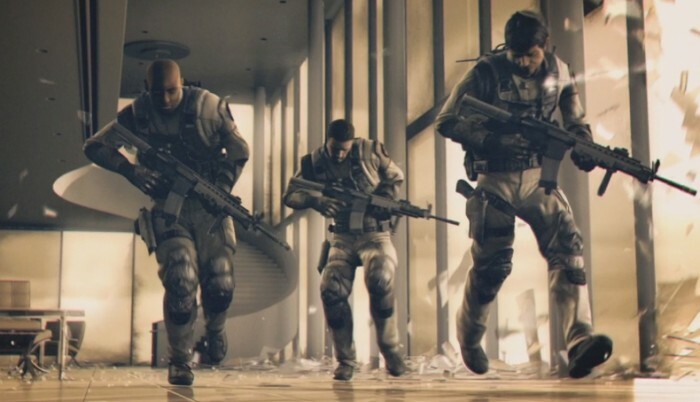 My fear was that this would just be another standard shooter with a story I would not connect to, no depth and I would be bumbling around like I usually do these type of games. Although I still fell into some of the same traps that I often fall into I found the storyline and the character elements to be very unique and a refreshing ride. 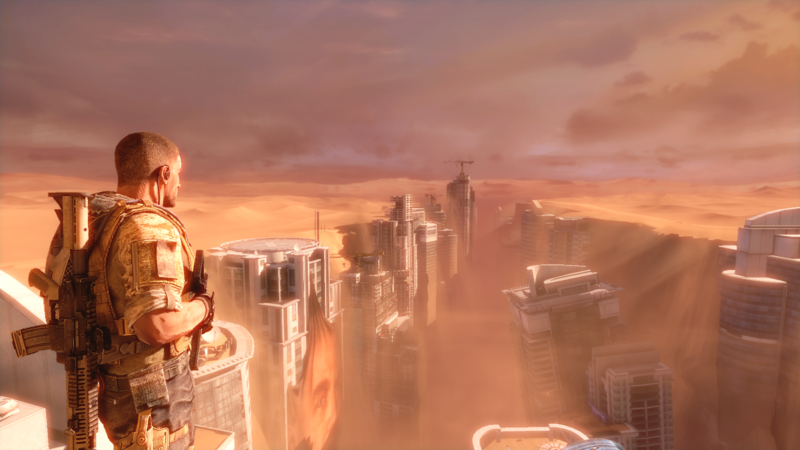 The game is a standard Shooter type game, as its name gives away, set in the city of Dubai. The city had been ravaged from a sandstorm. With the city cut off from the rest of the world for six months the U.S. Army decides to send in a group of soldiers to figure out what’s going on. It is your goal to help with the evacuation and deal with all the people who couldn’t escape. As your character enters the game we start to connect all the dots on how the society in Dubai dealt with the natural disaster. The games ending is different depending on decisions you make along the way. Without spoiling anything there is no happy ending. The overall theme of the game is the desolation and the horrors of war. It isn’t just a shoot everybody and everything continues to be happy-go-lucky sort of thing. There is a real sense of weight to all the actions. Your character is not a good guy. He goes into some situations and makes very questionable decisions. It is this sense of morality that keeps the player thinking when most shooter games like this are all about blowing things up and getting to the next check point.The storyline was intense and something you have to experience yourself to truly grasp. Now to the difficult part for myself. What I didn’t enjoy about the game was the action of actually playing. The game works just fine and is not broken in any way. I just do not enjoy playing any type of game on a computer with a mouse and keyboard. I would personally like to check out this game on the Consoles or pick up a USB controller so I could get out of my head a bit. I just do not have the hours logged in to Computer gaming to feel comfortable without being fully aware of my control scheme. That’s even with my 2 year WOW problem. 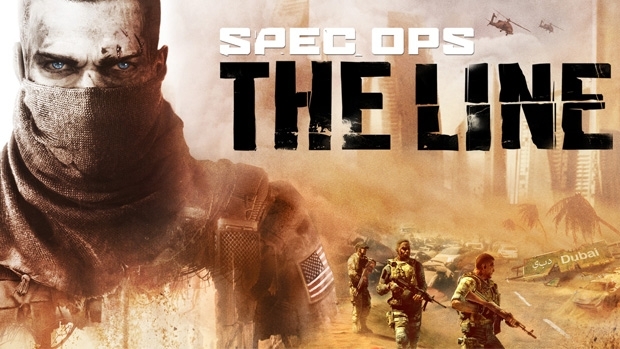 Spec Ops: The Line is a solid fun working third person shooter game with a lot of duck and covers fighting as you get in most of the games of this ilk. We also get lots of different weapons and it seems like your NPC friends are not the biggest dumb asses in the world. That is pretty different in games like this. Overall the gameplay is standard with nothing special. I mean there are some elements of the game that seem kind of counterproductive to the story and just for “shooter” reasons. Like all the random enemies you face off when you’ve heard about most of society being wiped out or moved away because the sandstorm. But that will only mess with your mind if you’re an over thinking role-playing game type person like me. That did not take away from the fun aspects of play. If you enjoy shooter games you will enjoy the gameplay and will feel very comfortable jumping right in playing. There’s just nothing special here to match the intensity and uniqueness of the storyline. I guess with just such a special story it made me want more of that intensity in the gameplay. The story was very unique but it’s somewhat short taking around 15 hrs to complete. 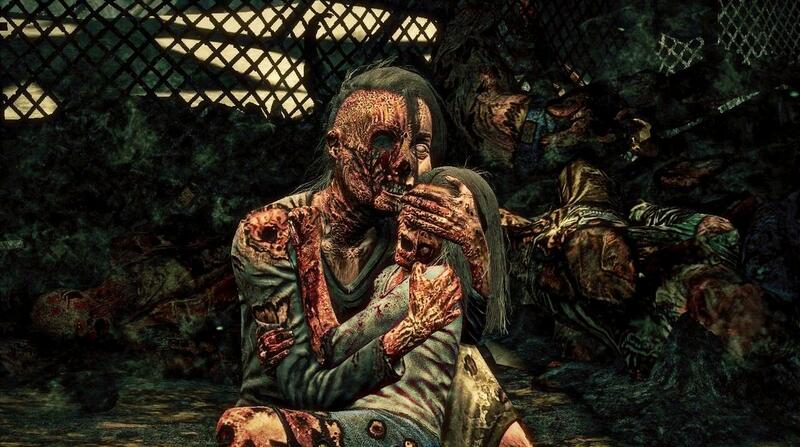 I did play through the end of the game twice and in both endings I saw leave you with a cold feeling of all the horrors of the situation. 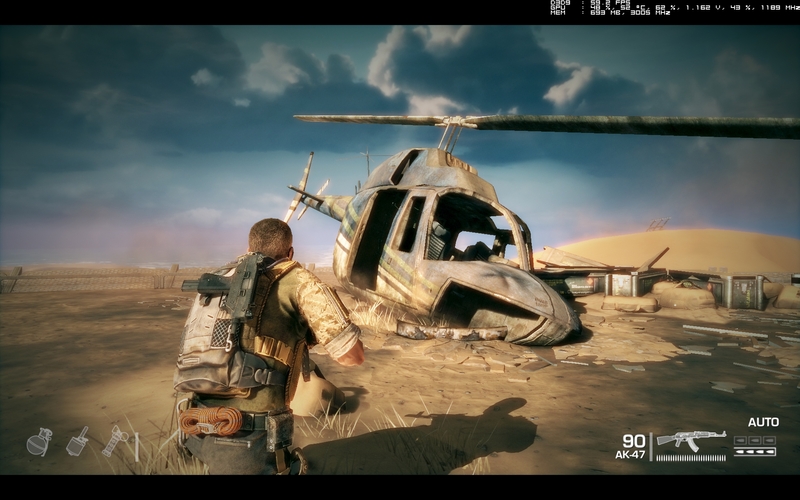 Spec Ops: The Line is something that stuck with me after playing and carried into watching some movies and television shows of the next few days. 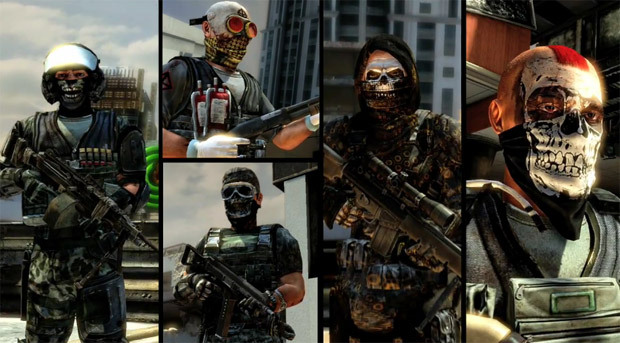 From beginning to end Spec Ops: The Line emotionally grabbed my attention. While the gameplay is not my cup of tea it definitely works and is not broken. The storyline is just so progressive and emotional that I wish there was more weight to the gameplay. The music and voice acting is all very high quality. Some of the music does get a bit repetitive in the action scenes but nothing too bad. Spec Ops: The Line for the Mac on Steam is definitely worth picking up especially is your are a fan of shooters or war stories. Also Star Trek fans out there this is for you. The themes in this game felt very similar to the Deep Space 9 episode The Siege of AR69. We see the real outcomes and the real truths of the of how combat can leave one with a bad taste in your mouth. I look forward to more stories from this team of writers and game developers 2k put together in the future. There is a market for true storytelling in an overdone genre. id rather give it 10/10.anyway yr ideas about the game are nice.